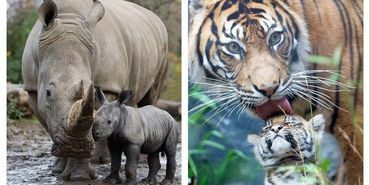 Demand China Reinstate the Ban on Rhino Horn and Tiger Bone ! ! ! China legalizes rhino horn and tiger bone for medical purposes. The materials have no proven medicinal value in humans, and conservationists call the move a major setback for wild populations. How can so-called educated modern china people do this? That means china is still SO BACKWARD n PRIMITIVE. I signed this one and the one written by the Care2 Team. Noted, signed and shared. 3,4763 supporters. Thank you, Cher!